The opening movement of Bach's Flute Sonata No. 4 is actually more of a “Presto”, although it begins with a measured “Andante” introduction. 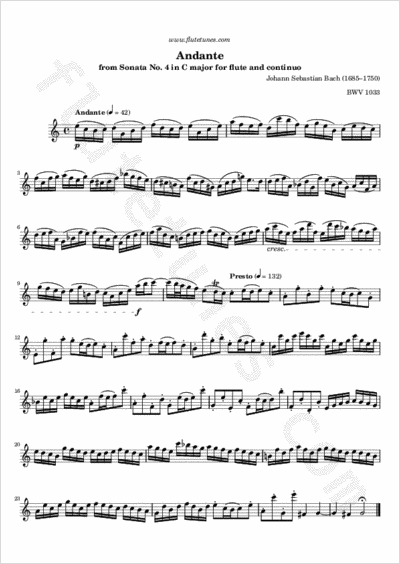 The flute plays nonstop throughout, and when it launches into the cadenza-like Presto proper, the accompaniment is reduced to a single, suspenseful, long-held chord. It's immediately clear that the flute part of this movement could easily stand alone. Here are the following movements: Allegro, Adagio, Menuetto I and II.